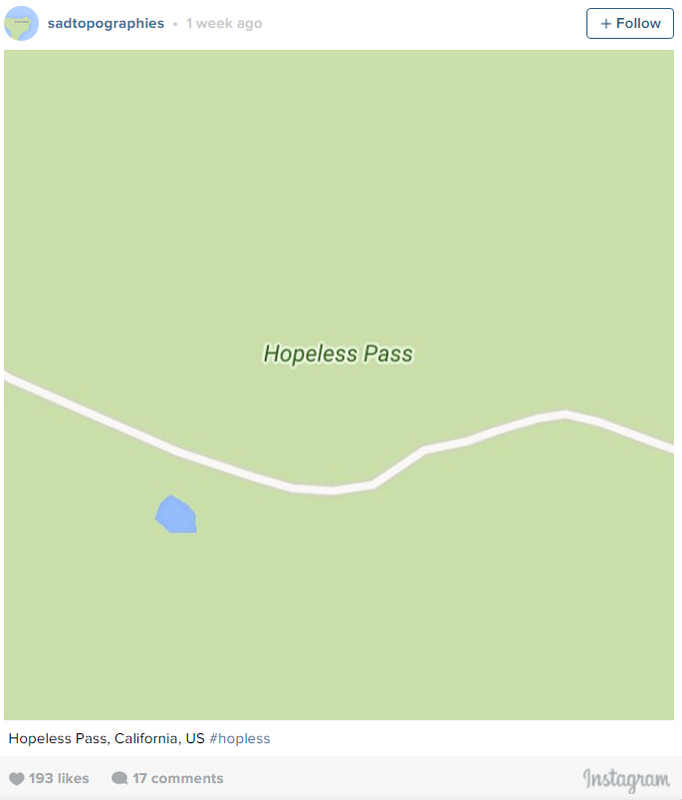 Someone made an Instagram featuring the most depressingly named places on Earth. 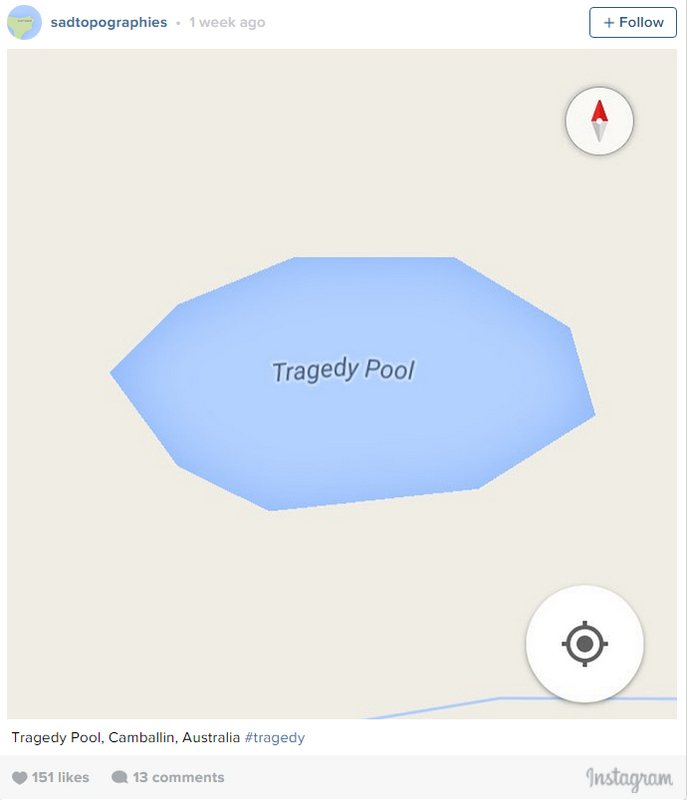 @sadtopographies features places like Killer Lake and Unfortunate Cove, with no explanations of why they’re called these things. 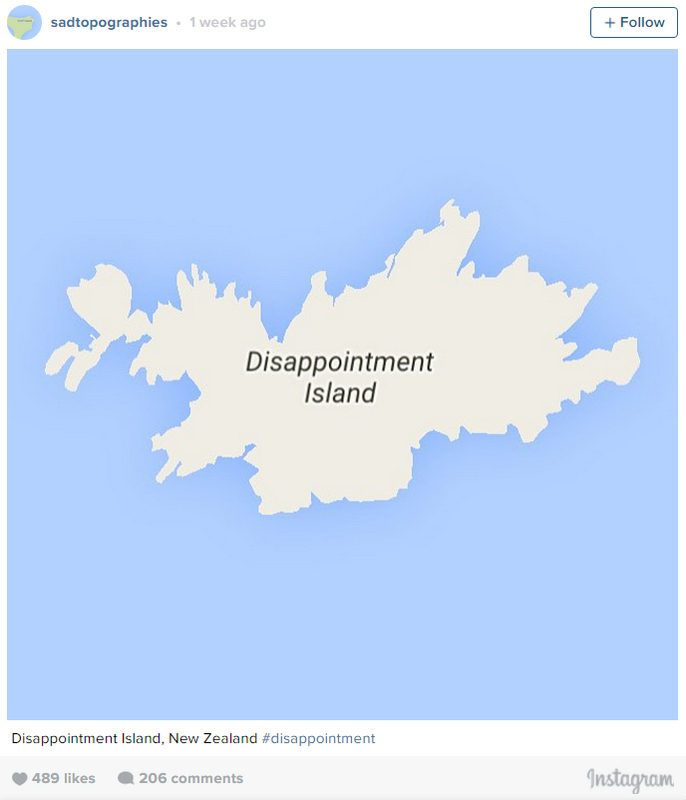 So, really, disappointment is a bit of an understatement.